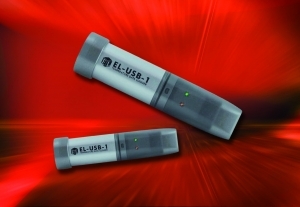 The EA SYLOG-USB-1 is especially well suited to applications in the pharmaceutical, food, transportation, and logistics industries. It can also be used as a general logger in laboratory environments. The device can be quickly connected to a computer via the integrated USB interface to evaluate recorded data and ships with drivers for all Windows versions. An array of multi-coloured light diodes (LEDs) displays the current operating status of the device and indicates whether the preset minimum and maximum temperatures were exceeded or undershot – an important feature when it comes to controlling the cold chain in the food and pharmaceutical industries. The data logger can be used in a temperature range of -35°C to +80°C (-31°F to 176°F) and is powered by a replaceable long-life lithium battery that typically lasts one year. A plastic cover offering IP 67 protection shields the device from moisture and dust at all times.